Messier 63 (M63) is a spiral galaxy located in the constellation Canes Venatici, the Hunting Dogs. It has an apparent visual magnitude of 8.5 and is approximately 29.5 million light-years distant from the Sun. Also cataloged as NGC 5055, Messier 63 is around 100,000 light-years across, about the size of our Milky Way Galaxy. Discovered by French astronomer Pierre Mechain in June 1779, the galaxy later made it as the 63rd entry into Charles Messier’s famous catalogue, published in 1781. 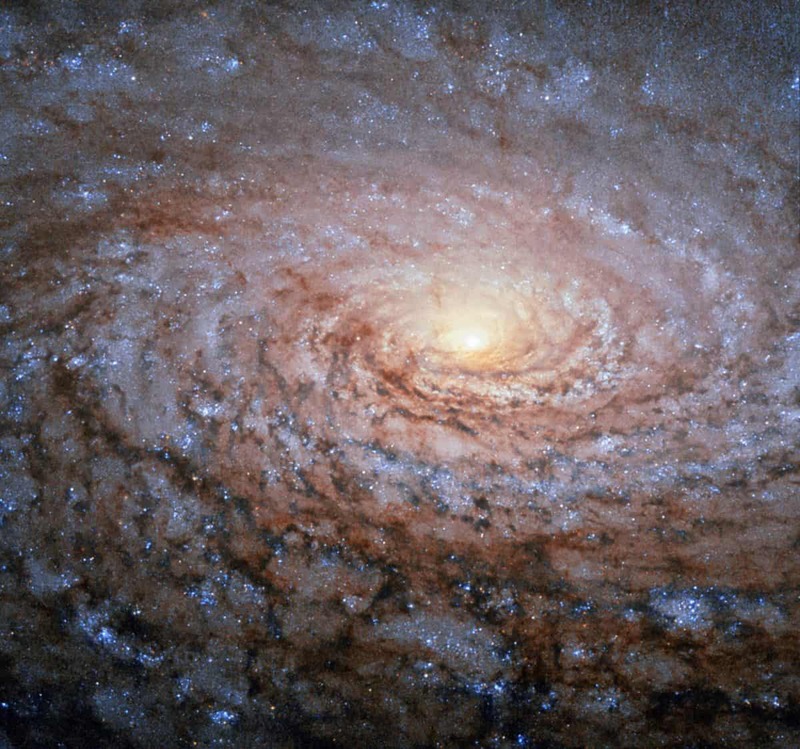 It is a member of the M51 Group – a group of galaxies, named after its brightest member, Messier 51 (Whirlpool Galaxy). The galaxy has faint, extended features that could be the result of gravitational interactions with nearby galaxies. It shines across the electromagnetic spectrum and is thought to have undergone bursts of intense star formation. On May 25, 1971, a Type I supernova (SN 1971I) was detected in Messier 63, peaking at magnitude 11.8.